Chaser of all things: Fashion. Beauty. Life. 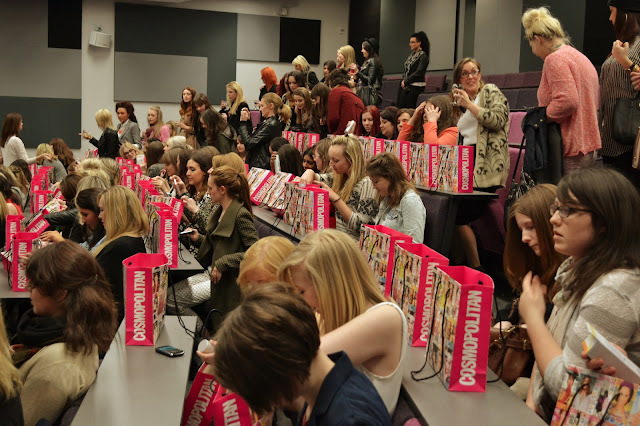 Last night I took a much needed break from dissertation writing to attend The Cosmo Media Masterclass in Manchester! Cosmopolitan held their first ever Careers Masterclass on tuesday evening in London, however, they didn't leave out us aspiring northerners, bringing the event to Manchester the following evening with a fabulous (and extremely knowledgable) panel of experts with them! If I had to sum up the event in one word it would have to be inspiring. 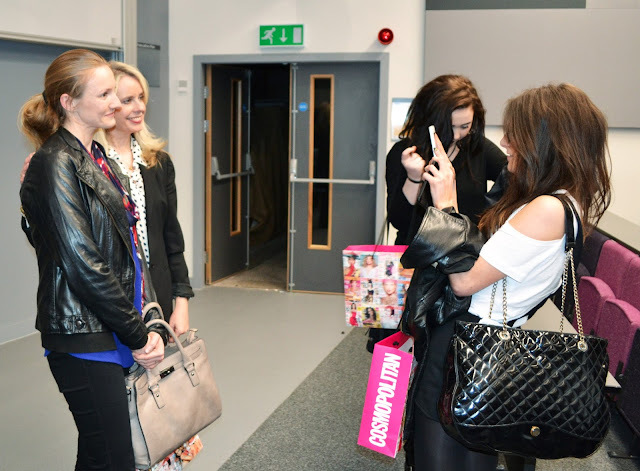 With the end of my degree fast-approaching it was great to hear how successful women in the industry started off. The fact that the majority of the panel began in unpaid placements and worked their way up definitely gave me a much needed boost that I am on the right path to success! 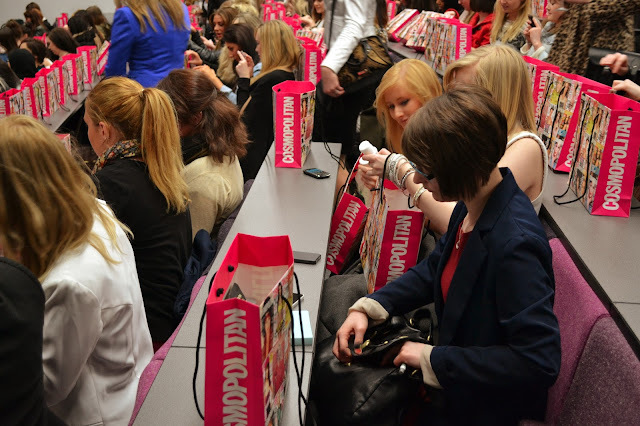 I also learnt some top tips on how to stand out when applying for placements/jobs both in your C.V and interviews. This is all really relevant to me right now as all I am doing in my spare time is job-hunting, and obviously I am not alone with graduate unemployment rates predicted to reach "crisis" levels in 2013 (read about it: here). 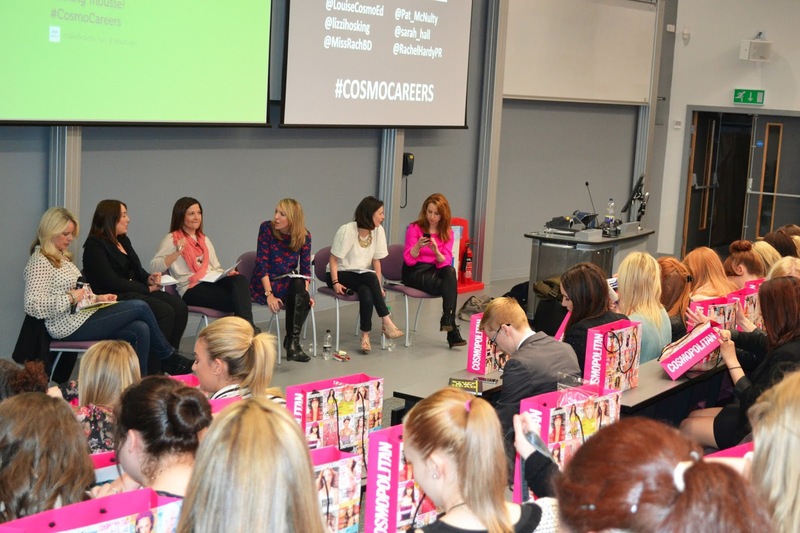 Events such as Cosmo's careers masterclass are fantastic opportunities as you get advise first hand from the actual industry experts that we are actually trying to reach via our C.V's, cover letters and applications. So, what are the top tips I picked up from last night? 1.) Make your C.V concise: Bullet point everything and make key words stand out. Publicist Sarah Hall advised most of the time she is so busy she can only skim read C.V's, so those key words are an essential to get onto the shortlist! 2.) Do your research: Know the industry and the brand you are applying for inside out. Keep up to date with important campaigns within the industry and relevant journalists and editors. This kind of knowledge will impress in an interview and show that you are passionate about the industry and after the job for the right reasons. 3.) Go the extra mile: Yes, we probably aren't being paid but we choose to be there and we know the score. We are getting valuable experience and access to the best people in the industry, so make yourself indispensable, offer to stay late, sacrifice the odd lunch hour, and do it with a smile on your face... it will get noticed! 4.) "Have Balls": Cosmo Editor Louise Court said her biggest regret when starting out is that she wasn't more confident in her initial placements. She also mentioned that she loves it when her interns introduce themselves when they take on their placements at Cosmo as this makes them more memorable when they leave! This comes down to making the most of a placement when you get it. 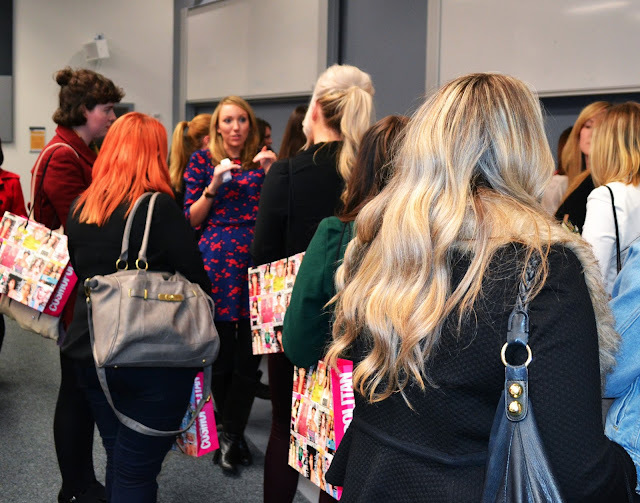 Its the perfect opportunity to make connections- you never know who can help secure you a future job, so get to know as many people as you can to really make an impression. This also applies to when you are actually trying to secure a placement- don't be afraid to send an email to an editor or get on the phone and chase up a job- persistance is key and shows how much you really want the job. 5.) Don't get disheartened: Its a competitive industry, so unfortunately the risk of rejection runs high. However, don't get put off applying for positions just because you think you might get a no. At the end of the day a no isn't the end of the world and everything happens for a reason, so keep trying! Fingers crossed armed with my new found knowledge I'll bag myself a top placement pretty fast! Good luck to everyone else looking out there too! 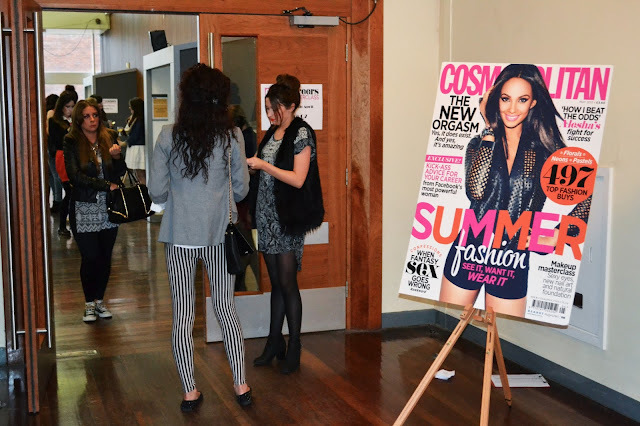 Arrival to the Cosmo Masterclass! Sarah Hall giving more advice! For more info on the event check out the Cosmo website here. On a quick final note, I couldn't finish the post and not mention the ah-may-zing goody bag we picked up at the event. It was full of some great beauty products- fantastic sizes and definitely one of the most generous goody bags I have received! 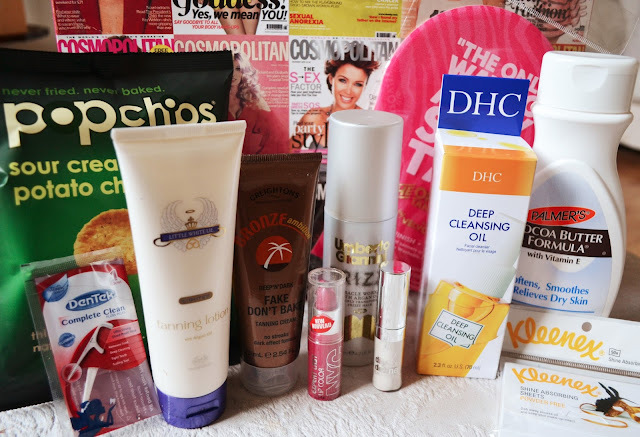 I will have lots of fun checking out all these goodies properly, so look out for future reviews! However, I'd love to hear your thoughts on the post! Where you at the masterclass? If so, what did you take from the event? 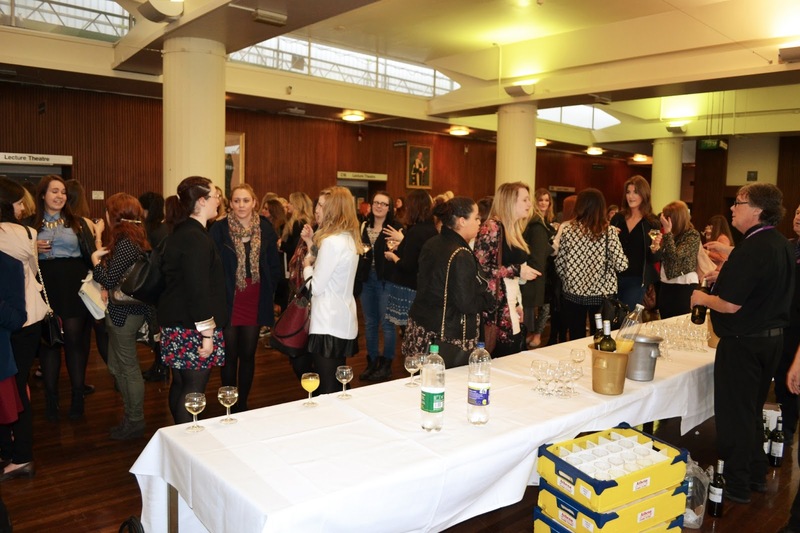 Or are you going to the Superblogger event next month? Let me know! !